Wikipedia, the free online encyclopaedia, celebrated its tenth anniversary this year, and almost 100 cities and towns in India registered to host celebrations, the highest number of any country. Wikipedia is the fourth most popular website in India, and there are over 20 Wikipedia sites in Indian languages, with more on the way. The Wikimedia Foundation's India Chapter was recently established in Bangalore, to help coordinate the Indian language Wikipedia sites. This year the Foundation will open its first office outside the United States, in an Indian city as yet to be announced. Global Voices has spoken to Tinu Cherian, blogger, active Wikipedian and an administrator for the site, about Wikipedia in India. Global Voices (GV): Can you tell us a little about the Wikipedia community in India? 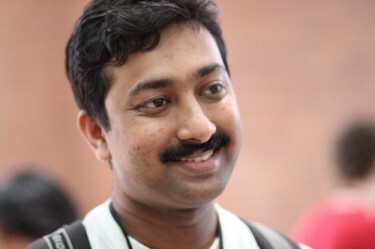 Tinu Cherian (TC): The Wikipedian community in India is a nascent but one of the fastest growing user groups. Wikipedia and other sister projects enjoy top five website readership in India but the scale of editors and contributors to Wikimedia is relatively low compared to other countries. Thanks to being a favorite of popular search engines, and the lack of other such free knowledge sources, readership has never been a problem. Wikimeetups are real life gatherings or meetups of Wikipedians, which are now very popular in India. In Sep 2006, Jimmy Wales came to Bangalore and saw the first Wikimeetup in India. A Wikiconference at Chennai in 2007 generated lots of interest and enthusiasm but essentially couldn't keep the momentum. Since July 2009, we have started regular Wikimeetups in Bangalore, meeting at least once per month. Wikipedians in India now meet regularly in other cities like Mumbai, Delhi, Kolkata, Pune and Hyderabad. The Wikimedia India Chapter was officially approved by the Foundation in 2010 and became a registered body in 2011. Over 95 cities and towns in India registered to host the 10th anniversary celebrations of Wikipedia in 2011, the largest among all countries. The Bangalore celebrations witnessed over 250 attendees for the one day programme. In 2010, the Wikimedia Foundation identified India as one of the strategic locations for development of Wikimedia and is close to setting up its first ever office outside the United States. GV: Do you have a sense of how popular the Indian language sites are in comparison with the English site? Which are the largest Indian language sites? TC: English Wikipedia was always the favorite and best-known Wikipedia in India but recently the awareness of Indic language Wikipedias has been on the rise. There are 20 Indic language Wikipedias already and another 20 are in an incubation state. Assamese, Punjabi, Nepali, Oriya (Odia) and Malayalam were the first Indian language Wikipedias to be started in 2002. Hindi, Tamil, Bengali and other languages were created in the next two years. There is a varied level of activity among the different language Wikipedias. Malayalam, Tamil, Telugu and Bengali have very active Wikipedia communities. Hindi has the largest number of articles which is set to cross the 1 lakh [100 000] articles milestone any time soon. We are now working on building the communities for the dormant Wikipedias by spreading awareness among the native speakers of those languages. GV: What about Internet access – isn’t Wikipedia dependent on people having Internet connections? TC: Wikipedia is all about the sum total of human knowledge available to all mankind. Unfortunately, it was all web-based. Wikipedians are now making efforts to bring them to those who don't have access to the internet, by publishing offline versions of Wikipedia. 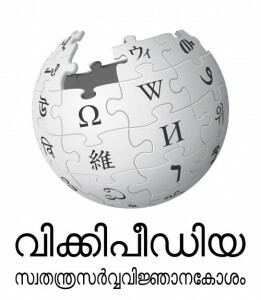 Malayalam Wikipedia published the first offline CD of Wikipedia among the non-Latin script languages. Malayalam is also in the process of releasing the first Wikisource in any Indian language. GV: You live in Bangalore, so we can probably guess the answer to the question: Mumbai, New Delhi or Bangalore? Which is the best location for the Wikimedia Foundation in India? TC: As a true Bangalorean, personally, I would love to see the Wikimedia office in Bangalore. Bangalore has a vibrant Wiki community contributing to different language Wikipedias. Wikipedians in Bangalore meet regularly, at least once per month. Bangalore is also the seat of the Wikimedia India chapter. But for the growth of the pan-India Wikimedia movement, it is advisable to be Mumbai or Delhi. But it is entirely up to the Wikimedia Foundation to decide where they find it feasible and suitable. The foundation is now actively considering it in Delhi or the National Capital Region (NCR). GV: You are very active on Twitter, with more than 56,000 followers. Is there a connection between your enthusiasm for social media and your involvement with Wikipedia? TC: I have always loved to interact with people both in the real and virtual worlds. I share knowledge on Wikipedia and share news and other information with others on Twitter. Twitter is my own way of connecting with a global audience. Of course, I also promote Wikipedia and Wikimedia events on Twitter too.